This gorgeous Valentine's Day arrangement serves as a perfect gift when love is in the air! 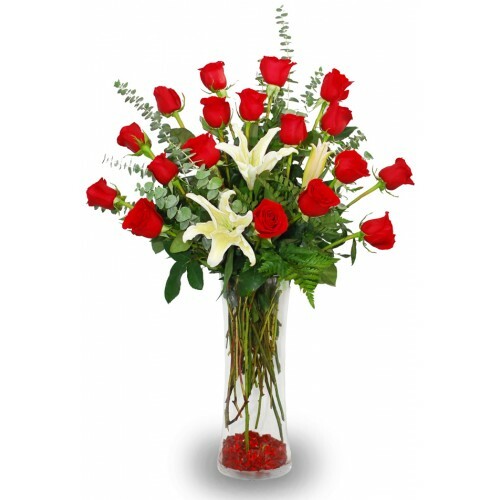 Made with eighteen red roses and two siberia lilies, "Heart's Desire" is visually pleasing to your loved one's eyes, and represents the depths of your devotion. The arrangement is supported by traditional tender greens, all in a pristine clear cylinder vase.